You are cordially invited to attend the 2018 Regimental Reunion Dinner. This is a great opportunity to renew past friendships and make some new ones. The Reunion Dinner will include a buffet dinner, and an open bar. There will also be unit and association t-shirts, hats, coins, and other memorabilia on sale. The cost of this event is $40 per person. Payment must be made in advance NLT Oct 29, 2017. 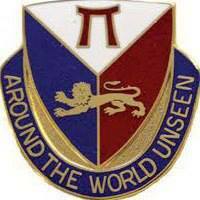 This event is open to members of the 425th Regimental Association and their guests only. If you are not a member or your membership has expired, you must join or renew your membership to attend. For credit card payments click on this link – http://425regiment.org/?page_id=1363, or copy and paste it into your preferred web browser. Payment made also be made by check (payable to 425th Regimental Association) and sending the form at the bottom of this invitation to Mark Day, 27312 Red Leaf Lane, Southfield, MI 48076. There is no designated attire for this event. Members are encouraged to wear the Army Service Uniform, Class A Army Green Uniform, business suit, or sport coat and tie.